1. Select the Book flight icon to start booking your own air transportation. On the top, you can use different filters to refine the result display and you can use different criteria to sort the results and modify their display. 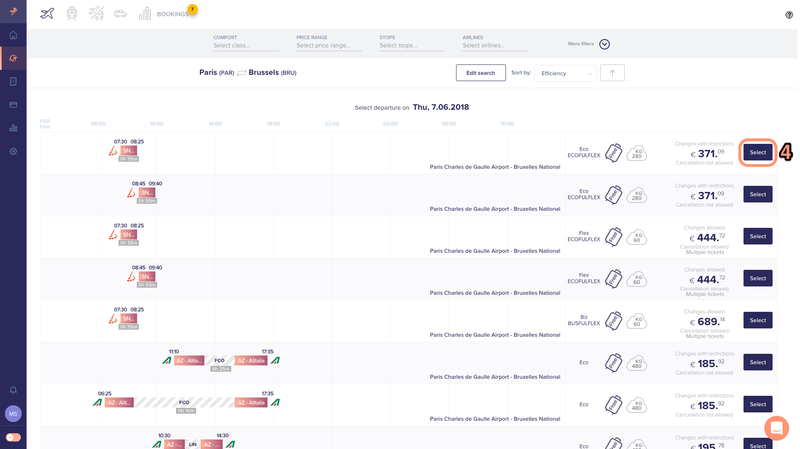 By clicking on a flight timeline, you can open a pop-up to have details about the flight, the seat map, additional services and other details. Per flight you can read, from left to right, the cabin class & family fare details, the baggage allowance, CO2 emission details and whether or not this flight complies with your Company travel policy. By clicking on the fare you can read the fare conditions. 6. 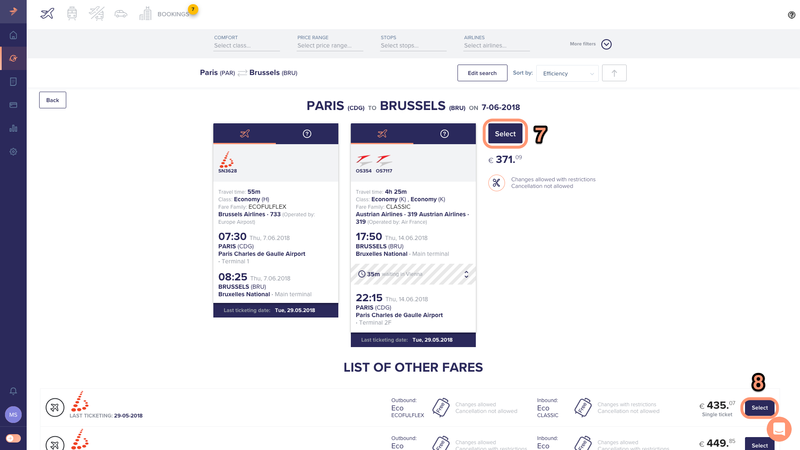 Before adding your flight selection to your booking cart, the system displays a summary of your selection and offers a list of other fares available on the same flight of your choice. Thanks to this step, you can compare other fares and their fare conditions before finalizing your selection. 9. After selection, check your booking cart and fill in missing fields if needed.